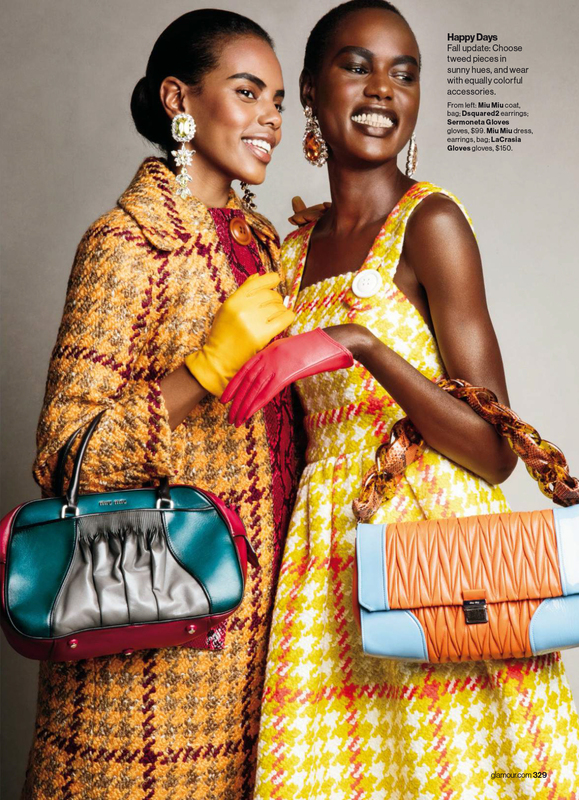 The chemistry between Grace Mahary and Ajak Deng is stunning in the new issue of Glamour Magazine, US edition. These two are of course my all time favorite African High Fashion models who are working constantly to bring diversity to the modeling industry. They are elegant and striking in these photos for Glamour. Shot by Patrick Demarchelier and styled by Jillian Davision, Grace and Ajak prove that they are powerful addition to any roster of models who are beautiful. Also, once reserved for ladies who lunch, Fall’s most traditional fabric “tweed,” is extremely chic. Bright colors, cool shapes, mega-style, Grace and Ajak are effortless appealing in these outfits. See images below.